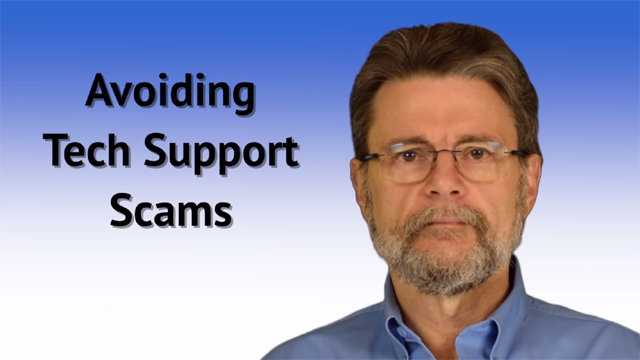 What do you do when you suddenly find yourself on the phone with a scammer? First step... don't be fooled! We've all seen them, and to one degree or another, been frustrated by them: those distorted characters we're supposed to be able to recognize, read, and type into a corresponding field on a web page. That's a CAPTCHA, which is an acronym for "Completely Automated Public Turing test to tell Computers and Humans Apart." It's even trademarked by Carnegie Mellon University. As frustrating as they sometimes are, they exist for a very important reason. How Do I Prevent My Internet-connected Devices From Being Hijacked? I am concerned about the recent denial of service attacks that have, evidently, been driven by huge numbers of compromised internet-connected devices. I don't want any of my devices to be part of that attack. All of my internet-connected devices are located behind my router (granted an old Linksys BEFSR81) and password protected. Is everything sufficiently "hidden" from internet attacks?? In any event, are strong passwords enough to prevent rogue access? We're connecting more and more non-traditional devices to the internet. Security on those devices is, apparently, abysmal. So how do you protect yourself from being part of the problem? Well, as with so many things, there's no clear or absolute answer – but I do have a couple of ideas. Continue Reading: How Do I Prevent My Internet-connected Devices From Being Hijacked? How Do I Downgrade from Windows 8 or 10 to Windows 7? I have a laptop with Windows 10 and I want to downgrade it to Windows 7 but unfortunately, to go about this seems very confusing. Can you assist me or provide me with the steps to go about doing the downgrade? In addition, can you let me know if there are any setbacks that I'll face if in fact I do perform this downgrade successfully? Downgrading is a pretty simple process. It's not easy, but it is simple. I am going to start by trying to talk you out of doing it at all. In my mind, there is rarely a reason to downgrade from Windows 10 or 8.1 to Windows 7. But knowing that sometimes there are reasons, I will tell you how. Continue Reading: How Do I Downgrade from Windows 8 or 10 to Windows 7? When I Visit a Web Site, Can the Server Identify Me? Are Automatic Updates a Good Thing? The Internet Of Things (often: IOT) refers to the increase in devices other than computers or computer-like things being connected to the internet. Most often these devices are appliances of some sort whose functionality is enhanced by being connected to the internet. Examples include everything from refrigerators with built in webcams so you can look inside from elsewhere, to home thermostats that allow you to remotely adjust the temperature, to lightbulbs that can be placed into existing sockets and yet still allow for remote control. The term is a slight mis-statement, as there is no separate internet for things – it is the same internet used by all. The reference is simply to the growing collection of non-computer devices – devices we perhaps wouldn't normally consider connecting to the internet – that are being attached to it to add an assortment of functionality. Leo, thank you for your good work! However I disagree with the article's apologetics on behalf of Microsoft. Microsoft has far exceeded my threshold of abuse and NEGLIGENCE to its users. This is the beginning of a rapid end to a 20 year relationship with Microsoft, where I will find alternative resources for my needs wherever possible, and recommend the same to All that I know. Their inconceivable arrogance and negligence is way way way over the top in locking me out ***MY*** hotmail/Live email accounts. No Leo. Microsoft is royally damaging 10's of thousands of users; as any search on this topic will show. Microsoft could ***at the very least*** have a link at the top of their hotmail/Live mail page that asks: "Traveling soon? Don't get locked out of your account" that links directly to askleo.com and your solutions. Right? I'm sure that Microsoft has a policy against officially supporting any third party solutions site over which they have zero control (i.e. Ask Leo! :-) ). However you'll get no disagreement from me: Microsoft could absolutely be handling this better, and they don't need to be linking elsewhere to do it. My "apologetics", as you call it, are simply to explain why they've taken the steps that they've taken. Two comments: First my husband fell for the Microsoft call but luckily he handed the phone to me as I am more computer savvy. I decided to have some fun with the caller. I played stupid and kept him thinking he had a sucker on the line for 1/2 hour until he asked me to install remote access software. I told him I wasn't going to do that; who do you think was panicking now?! Lol. Second, a friend of mine called me in a panic saying she got a popup telling her she had a virus and it provided a number to call. It also had annoying non-stop audio. She tried to close the popup (which occupied the entire screen) to no avail. In this case there was no way to even close the browser, so I hit Ctrl Alt Del to access the Task Manager but even that couldn't close the program and it regenerated multiple times. I did Ctrl Alt Del again but this time I logged off. When I logged in again, the popup had disappeared. A scan revealed no malware so all was good again. Very important video, Leo. Thanks for posting. "So much information will survive thousands of years from now...." - And 95% of that information will be cat videos. 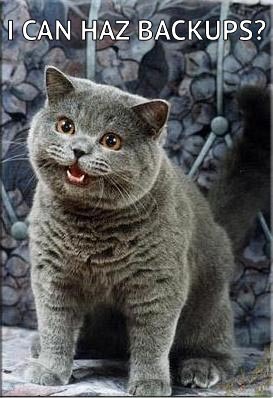 Googols and googols of cat videos. All duplicated across multiple platforms - from Facebook to YouTube - and safely backed up for posterity in multiple geographically redundant data centres.